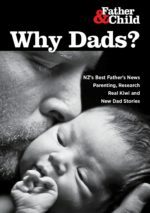 Posts tagged with "Mens Groups"
In Christchurch we still have a weekly father’s playgroup. Contact Peter Walker on (03) 982 2440 or peter@fatherandchild.org.nz for more information. The various men’s organisations in Christchurch have given birth to a new service called the Canterbury Men’s Centre (CMC). The CMC was originally proposed at the 2005 Men’s Issues Summit and since then the guys involved have been diligently working away at creating it and defining its purpose.